DYNAMICS - Is a professionally based program which concentrates on improving your technical skills/dribbling and control of ball, shooting/striker skills, change of speed and direction/agility, alongside our popular 3v3 Futsal SOCCER!!! Please select which program(s) your child will be attending. Please select a day and appropriate age/time slot. Team Waiver & Liability Agreement - I understand that there are risks associated with playing all sports and field related activities. In consideration for the privilege to use the facility and/or attend the camp/clinic, my signature indicates that I assume the risk of any injuries that myself or my children/wards/players may sustain while participating in any activity sponsored or approved by Valley Soccer Academy and Trinity Assembly of God for any injuries which myself or my children/wards/players may sustain while on the premises of Trinity Assembly of God or facility utilized by Valley Soccer Academy and go, remise, release and forever hold harmless Valley Soccer academy LLC and their officers, agents, employees, coaches, independent contractors and/or team managers from any actions, suits, damages, claims, or judgments, that may result from any personal injury that myself and/or my children/wards/players may sustain while on the premises of the said facility, or while using the equipment of Valley Soccer academy, or while engaged in any activities sponsored by Valley Soccer Academy LLC. I also understand that Valley Soccer Academy is held harmless and will not issue credit in the event that I or my child/players, the attendees, cannot attend due to illness, injury, hazardous road conditions, severe storm, flooding, wind, war or other acts of God or any unforeseen occurrences that could frustrate the whole or any part of this event and/or schedule. 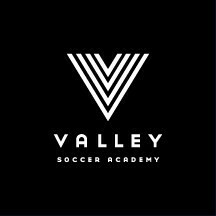 I agree to allow photographs taken of myself and/or my children/wards/players to be used in any marketing/advertising publications by and for Valley Soccer Academy. I understand that Valley Soccer Academy and or Trinity Assembly of God does not provide health and/or accident insurance. I assume full and complete responsibility for any and all medical and/or dental bills arising out of my or my child’s/players’ participation in the Valley Soccer Academy sponsored activity, and hereby agree to indemnify and hold harmless Valley Soccer Academy LLC and its parties from any and all liability associated with my or my child’s/players’ participation in clinics/camps. I insure that I am or my child/players are physically and mentally able to participate in physical activities and have been examined by a licensed medical physician within one (1) year prior to attending this clinic/camp. I give permission for Valley Soccer Academy LLC and its associates or contracted health care provide to start preliminary treatment and arrange transportation for me or my child to a local Emergency Room in the event that I or my child/players become(s) ill or injured. By signing this Waiver and Liability Agreement, I acknowledge that I HAVE READ AND FULLY UNDERSTAND AND AGREE TO ALL OF ITS TERMS AND CONDITIONS INCLUDING PERMISSION TO TREAT AGREEMENT. I further state that I have executed this waiver and liability voluntarily and with full knowledge of its significance to be binding on my, my heirs, executors, administrators and assigns. 1. Please select all the programs you want to pay for below. 2. Please double check to make sure you signed up for the correct program and time slot before payment.